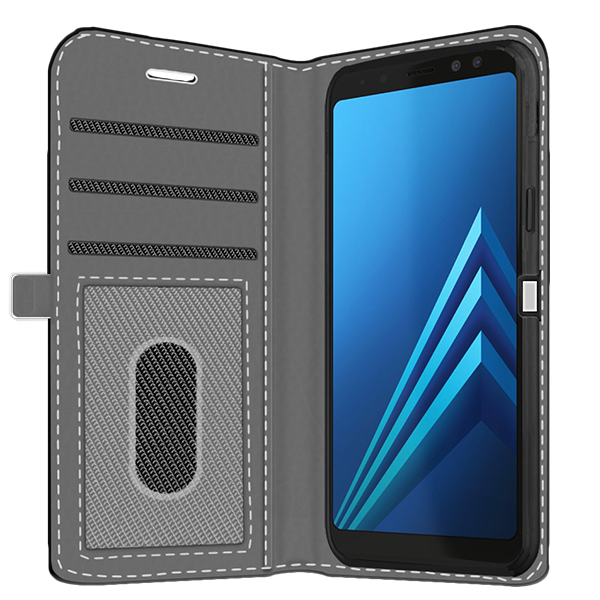 A stylish custom Samsung Galaxy A8 (2018) case to protect your phone and hold your cards. Stay organized and hold all of your belongings in one place with our custom wallet case. 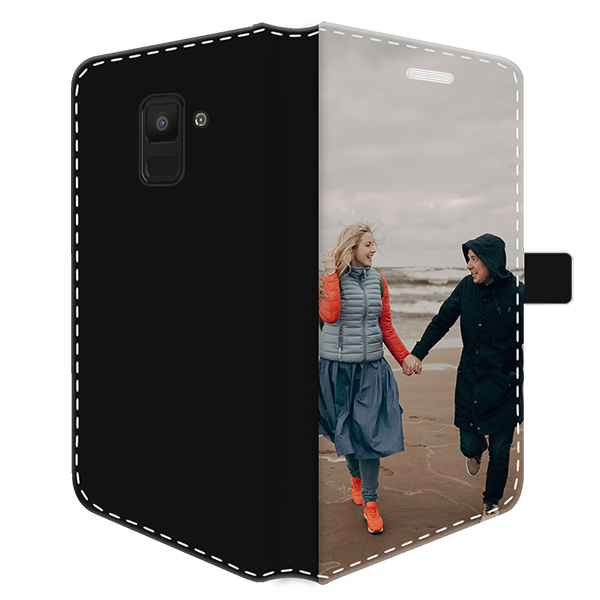 Make your own custom Samsung Galaxy A8 (2018) case in just five minutes with our easy to use Customizer. 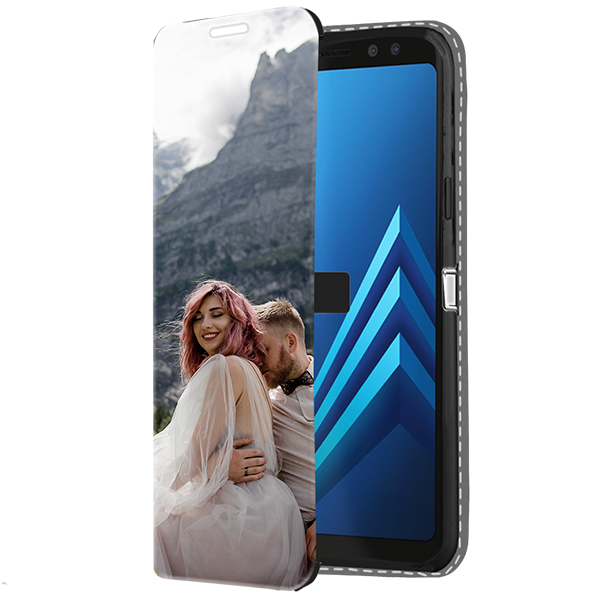 Protect your phone, store your cards, and have a unique look all with our custom Samsung Galaxy A8 (2018) case. Instead of carrying around your wallet and phone separately, why not store all of your most important items together. Don't waste your time digging through your purse or checking your pockets for all of your scattered belongings. This custom phone case will keep you organized and you will be wondering why you didn't buy this earlier. 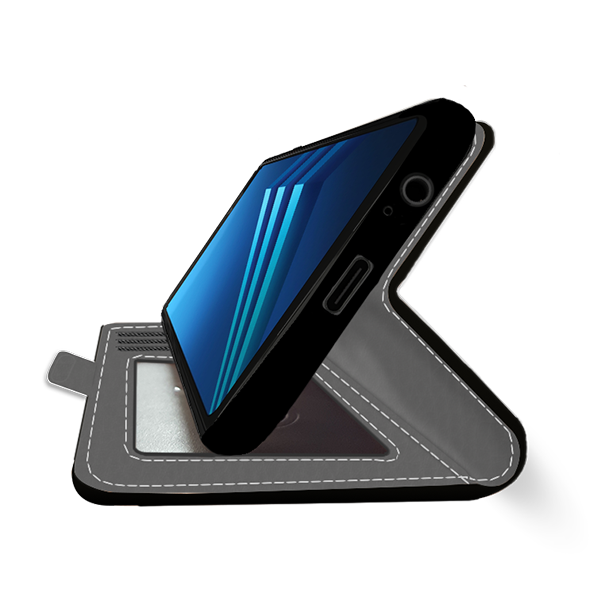 Invest in a case that will protect your phone from all of the bumps and scratches before it is too late. Not only is this case convenient, but you can make your own unique custom wallet case with your own images, designs, and texts. Let your creative ideas come to life on your custom phone case! Our customizer is easy to use and allows you to create your final case in just 5 minutes. Upload a picture, add your design, and write some texts to have your custom phone case. Be sure if you are uploading an image, that it has a high enough resolution. After you are done adding all of your designs, you can click the preview button, and get a sneak peek of what your custom Samsung Galaxy A8 (2018) case will look like to make sure it is exactly what you want. Once you have previewed your custom phone case and checked out, we will start working on producing your perfect phone case very soon! We ask that you double check your shipping address is correct separately so we make sure the phone case is delivered to the correct place. Next, we will start printing your design using a scratch-resistant ink to make sure that your design lasts as long as your case. Then our production team will check your case for any imperfections to ensure it is just the way you wanted it. Finally, we will box it up, and before you know it, you will be smiling at your new custom phone case.